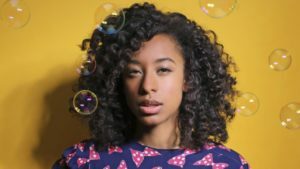 Corinne Bailey Rae was part of a group called Hellen but the band didn’t go further which didn’t stop her; after a few years of being married, she started working on solo material and in 2004 she got a breakthrough. Her first single was released in November 2005 and Like A Star became a hit in the UK and US; her album Corinne Bailey Rae was released in February 2006 and debuted in #1 in the UK and became the fourth female British act in history to have her first album debut at number one. Her second single Put Your Records On is her biggest hit to the date, rose to number two in the UK and sold over 945.000 US download. At the 2007 Grammy Awards, she received three nominations: Record and Song of the Year, for Put Your Records On and Best New Artist. In January 2010, she released her second album The Sea, four years after releasing her first album and almost two after the death of her husband Jason Rae. Adding a personal note about this album: my least favorite out of the three she released so far. 13 May 2016 was the date she released her third album The Heart Speaks in Whispers, and the lead single Been to the Moon was released on the same day. It was named by NPR – National Public Radio – one of their favorite 30 albums of the year. If you like R&B and soul, she is probably on your playlist and if she isn’t yet, she will be after listening to her songs; her voice is full of soul and warmth and feelings and the songs are great for a nice relaxing time with a glass of wine and nice company. Wanna know more about her? 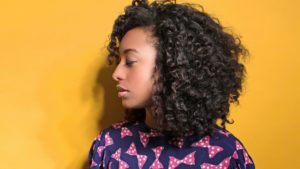 Check on her official website: http://www.corinnebaileyrae.com/ and her official FB page: https://www.facebook.com/corinnebaileyrae/. Let me know what you think about her and if you added her to your play list. And don’t forget to like our FB official page as well. This entry was posted in Music, R&B and tagged albums, awards, corinne bailey rae, death, grammy, husband, music, neo-soul, put your records on, R&B, soul music by hadassa. Bookmark the permalink.